A project template for creating TinyCLR Unit Test Projects. 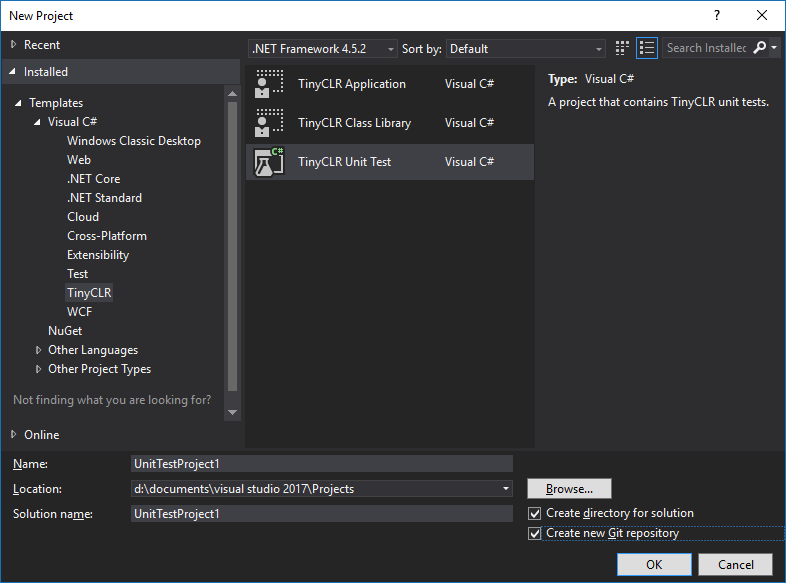 The TinyCLRTest is a lightweight framework that helps you to create unit tests for TinyCLR projects. 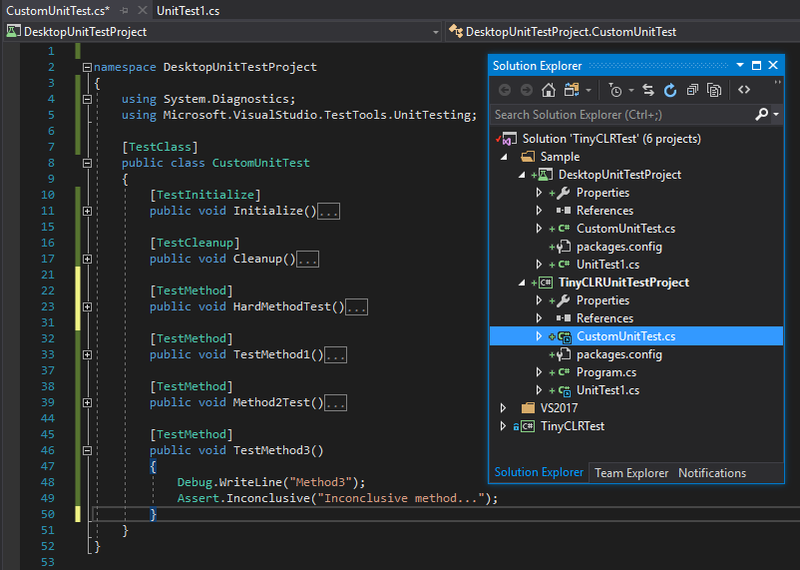 This Visual Studio project template simplifies the development of a TinyCLR based unit tests.